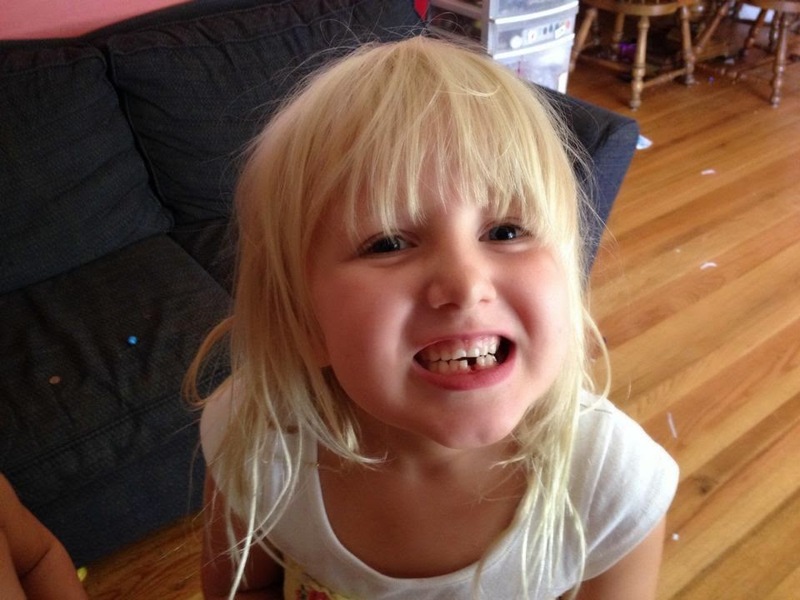 The Kerrie Show: My 4th Baby Lost Her 1st Tooth! My 4th Baby Lost Her 1st Tooth! Little Eva lost her first tooth today while her Poppy and Nana were over visiting! She is 6 1/2 and Poppy took this picture of her gap! Also, Joel lost another molar the other day. He is 13 and still losing teeth! Sometimes this is the best way to communicate with my mom and Aron's parents, so I know they will enjoy this photo! Later we went to the pool for an hour and a half until lightning was spotted and we had to leave. I will be staying up late watching for The Tooth Fairy!